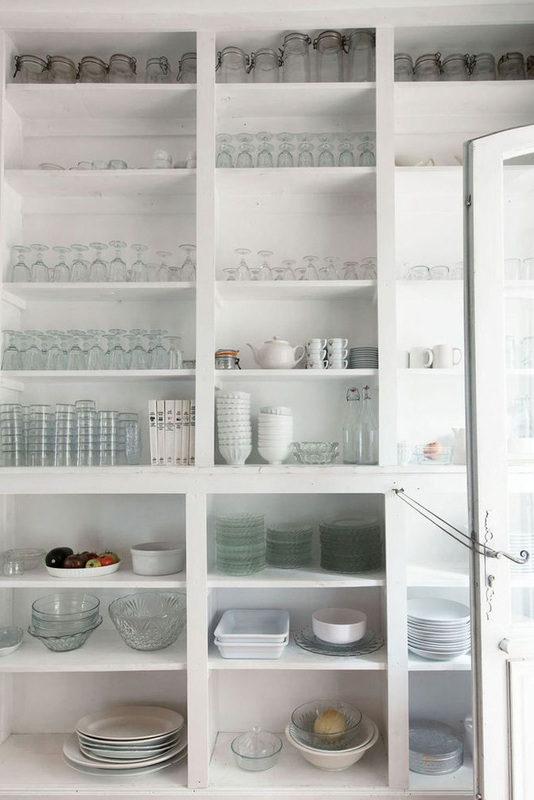 I've been eyeing inspiration for our pantry makeover lately, and when I saw this image of Caitlin Wilson's gorgeous pantry, I knew I needed a shelving system that had pull-out drawers. I also knew I wanted it to be all white. Our pantry was a nasty beige color that made it look so dirty that I didn't even want to put our food in there. 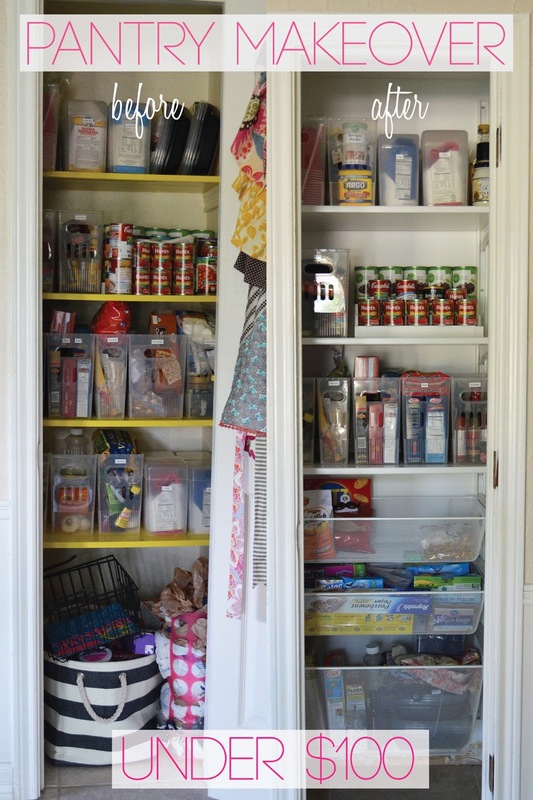 The layout was pretty much identical to every other pantry I've had, but this color really bothered me. 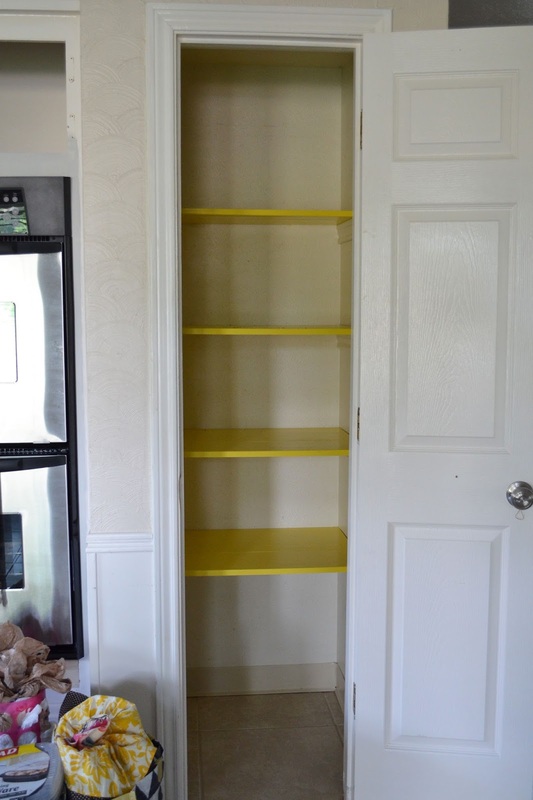 The beige mixed with the yellow shelves felt old and dated and it had a weird musty smell that freaked me out. It also had plastic stick on baseboards which are just... no. The walls got a good scrubbing and two fresh coats of white paint. We painted our living room ceilings in Behr Ultra Pure White, and used the leftover paint we had in here. I had been planning on using the Elfa system from The Container Store, but once I started pricing it out I looked for other options. I ended up finding the Algot system from Ikea for less than $100! The Elfa system was going to be at least triple that, and since I'm weighing everything I do in the house to how much we'll get back in resale value, I decided it wasn't worth it to spend the extra money when this system would work just as well. It took Charlie and I about an hour to put together, and would have been easier if we had the recommend suspension rail on top for spacing. We purchased one, but when we got home we realized someone had opened the hardware box and taken out two of the pieces we needed to hang it! It was a Sunday afternoon on a holiday weekend when we realized this, and you couldn't pay me to go to Ikea at that time. We're almost finished, but still need to add new baseboards, paint the kitchen walls and trim white, and hang our new door and hardware. Our door is on backorder so we'll be doorless until late August, but I don't mind - It feels so good to walk by everyday and see the transformation. We have a small guest bedroom closet that needs a major makeover, and I like this system so much I'll be purchasing another to use in there, too! 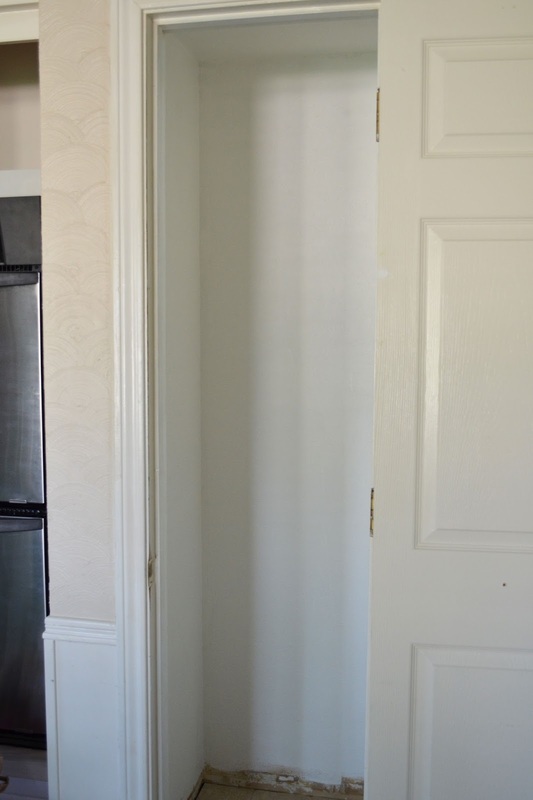 UPDATE: See our updated kitchen and pantry with it's new door in this post! I just found your blog through Pinterest and I love this use of space. I was wondering if the drawers can extend beyond the door frame to make items in the back of the drawers easily accessible. I would love to do something like this in my linen closet, but I'm not sure if mine is deep enough and I'm worried the drawer might only extend a couple of inches, not allowing space to reach what is in the back. Maybe your closet is deep enough the drawer can extend within the closet? Thanks. The drawers are 15" deep, and only pull out about halfway, so your linen closet would need to be around 22" deep to allow for the drawers to pull out the entire way. They are 23" wide, so they were too wide to extend beyond my 18" door opening, but my pantry is deep enough for them to pull out entirely within the pantry. Honestly though, there is enough space between the drawers that I find I rarely need to extend the drawer out more than a couple of inches if even at all. I mostly just reach in and pull out what I need. I hope this helps! 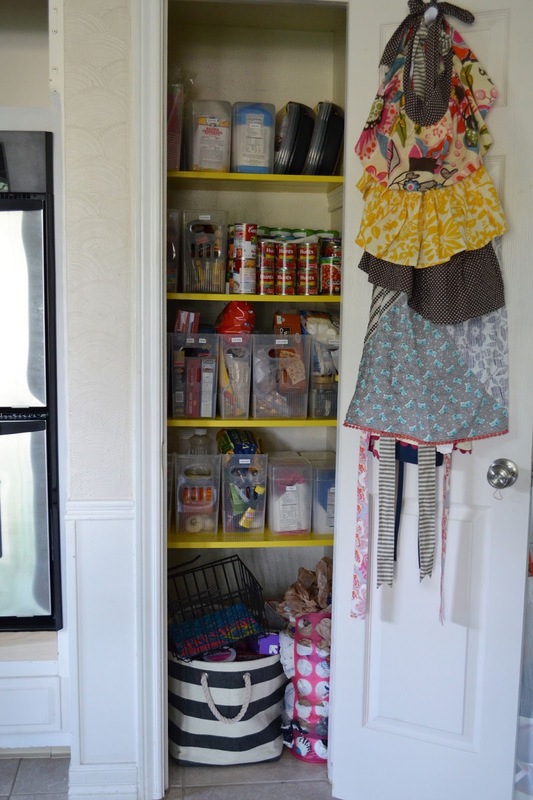 Love your pantry! 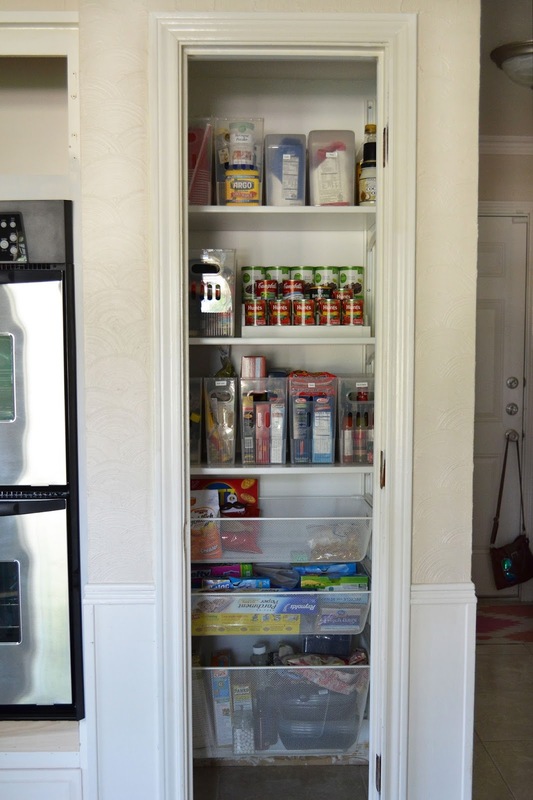 How wide is your pantry? 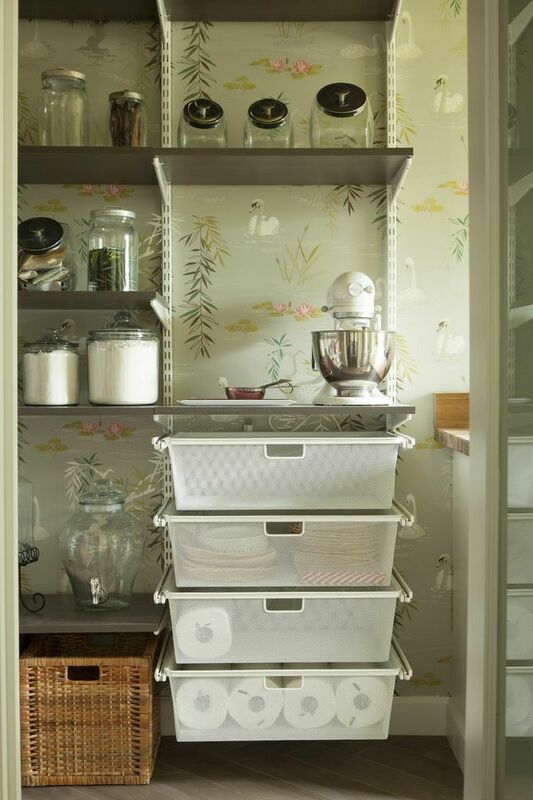 The Algot system looks like a perfect fit! 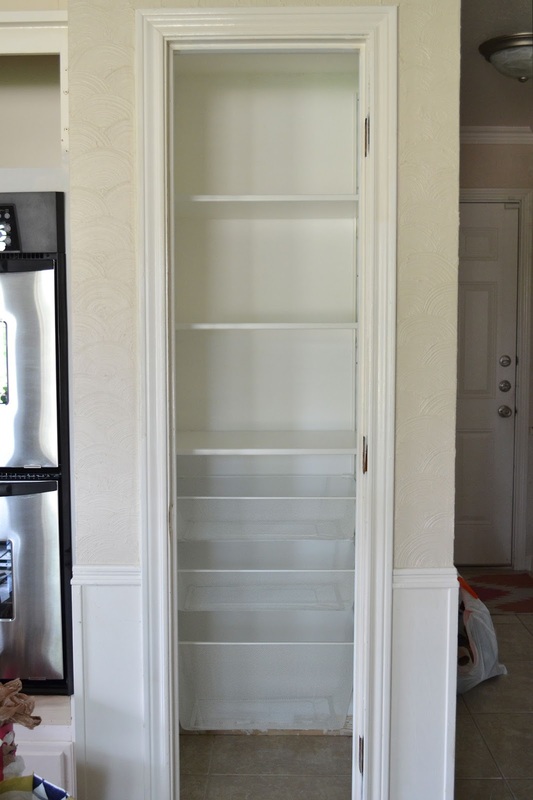 My pantry is 24 1/2 inches wide and I'm wondering if my pantry will be too narrow for the Algot system.